March 14, 2016: 2016 Marathon Show #2 with Special Co-host Samantha! The Nice? Nice! YIP YIP YIP! Hey, those Yips don't have any space bucks to pledge to WFMU, so we'll have to do it for them. Pledge all your space bucks to WFMU! What else can a person do with space bucks? Good morning, Mr. McGasko and evverbody! if you waited 'til week 2 of the marathon, the alarm just went off! wakey wakey send some doughy! RIP Keith , and hi Joe and Samantha! Nice, very Nice, indeed. Good morning, Joe! P-90 on-board, I see, and annie and KfHP. Off Track Betting, yo! RIP, Keith Emerson. When I read that he died of a suspected suicide, it really bummed me out. Welcome to the show everyone! 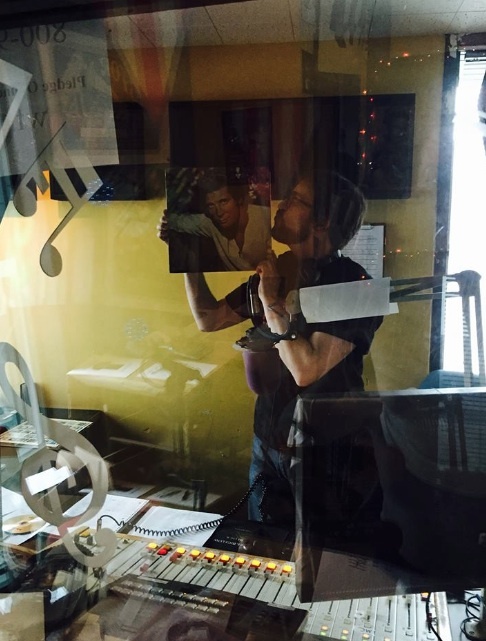 I hope you'll pledge your support to WFMU! Hello all! You are welcome here to pledge! Great to see you here, Sem! This song always makes me happy! Not "Ned Sparks" happy...but pretty happy! Got the email plea. Would have been more effective if you told us one of the puppies would die if the goal wasn’t reached. And the other puppy would have to live with endless guilt. @Jake: Ha ha ha! I'll add that now: Pledge or the puppies die. This (Feelies) song makes me happy. mornin' Joe! My fave Association rekkid - cool! Merry Rainy Monday, Samantha and Joe McG. ! Yo folks! A bit of a William Onyeabor vibe under me brelly! It's a sunny Monday afternoon! We need more phone calls! 1-800 989 9368! Ah, nice, Guido, I'm glad you're getting our sun over there! It's raining and I left the sunroof of my car open last night, yet I'm not upset about it. Why would that be? The car is still in the garage, nice and dry! Good morning Joe & Samantha! Can't stay long but the opening songs helped lift my spirits on a crappy morning, thanks! Will listen more in archives. Good morning everyone, it's good to be back from vacation! Brit Box!! I got this at a Border's clearance sale. It's great and is total comfort music to me. Everyone pledge lots of money to get in the running for it. It's A Gloomy Dark Rainy Monday here on the East Coast of the US...and that's just the Political Picture!!! But it is really Dark and Rainy out! BUT WFMU IS A RAY OF SUNSHINE AND HOPE!!!!! LET'S ALL KEEP HOPE ALIVE!!! So this is the actual Pi Day, not Pi Approximation Day, which is 22 July (22/7 ~ 3.142857). i think i chose your premium among my swag, joe.. i forget. I hope so, Annie! I think it's a pretty good one this year! @MD: Fine words! Week Two, Baby - here we go...! Oh, poor Keith. I wasn't a fan of most of his music, but how sad for him to be so despondent. Last chance to get in the running for Tinariwen! Pledge now if you want it! OK, so I still don't know how to split the Swag for Life, spread it around (you may have mentioned it on air, being at work I miss things...). Is there some sort of link? (suppose it doesn't really matter that much, the money is going to the station, but it takes some of the fun out of the marathon, drawings for prizes, that stuff). Also, I am 1) never going to another show where Slayer is playing even if Jesus himself is opening for them, and 2) setting foot into the fire marshall's nightmare that is Myth nightclub in Maplewood, MN. what is the Nice song that's very elegant and restrained, and has a killer trumpet fanfare through out? First Class WFMU DJ on phone #1! Talk to an original! Morning, Joe & Samantha and all! something similar just happened to my friend at Slayer in Columbus, she has now sworn them off. Where can I find the track list for your premium? Band Name Up For Grabs!!! Has Ann Arbor represented yet? I am pretty idealistic about metal people, but their audience is the worst. Period. I did see my husband's nephew and grandnephew there, it was pretty funny. They're both 5'5" and everyone there was 7 feet tall. I represented in spirit earlier. Anyway, after parking 1/4 mile away, and the 04 minute wait and the metal detector, and the club being oversold, we saw exactly 2.5 songs of Carcasses. We thought we saw the top of their heads, but weren't sure. Testament were excellent, but we were over it. I hate the northern suburbs. I'm not sure, Brian, but I know we have a lot of listeners from out that way, so I think it's likely. 2. Enter the amount of your annual pledge total that you want to use up, and paradoxically, choose "One-time" and NOT "Per Month"
3. Choose the shows you want to credit from the drop-down menu and be sure to hit the + button <<-- this is key; do it for each show. So Slayer is the Trump of metal this year. This is a topic? 90% of their their fans are dicks and they haven't made a great record since South of Heaven. I think 1/2 of the time they haven't come up with the final listing yet. @Cecile: My premium is done, just not mastered yet, so the on-air one I'm playing is a little rough. I need more coffee or you spoke too quickly. How to get in for the Grand Prize? This is a seat-of-the-pants operation, after all. That's why it needs the marathon: to patch those breeches. Pledge monkey is strutting nicely along to this one. @Stepchild: $100 pledge or more gets you in the running. Not very many people so far, so you stand a good chance! @Cecile - first time at Myth? It's a real treat. Sam and Joe!? Dream team. Hi guys from Rome! Polyus, first and probably last. this is such a large and diverse family..
Sure, I go for coffee and miss Cocteau Twins. Sigh. Joe is getting his frisson on. I saw Kraftwerk there, of all things. Probably 99% of the audience had never stepped foot inside the place, myself included. What a dump. frisson: a sudden strong feeling of excitement or fear; a thrill. I have never, ever, ever been in a place with such horrible sightlines. And no way in hell am I getting in the middle of the main floor at a Slayer show. I want to keep my teeth. I had to go for "frisson"! Thanks, guys, I couldn't remember the term!~ Even though it's marathon, it's STILL Monday morning! This time change thing not exactly conducive to the glibness and language centers. Oof. Hi, I'm a Swag for lifer, and I want to up my payment to the next level. My monthly payment is through paypal. What is the procedure to change my monthly payment and adjust my swag? It appears the online system has changed, and I've heard conflicting versions of the procedure. Monday morning after Spring Forward. You're doing great. For a second, I almost thought Transmitters were singing "The frisson's on". well. That was probably the coolest cover I've heard. How much donation required to get in the running for that Critical Mass vinyl? the answer is: email Joe! @Help: Yes, drop me a line after the show and I'll help you set something new up! If you want to pledge now, be sure to mention that you are S4L! I wager Tina Turner's "Whole Lotta Love" is on Joe's premium. Yes, that's a request! Thanks Joe, and everyone. I just thought you'd be swamped with this kind of stuff at the moment, so thought I'd ask here rather than clog up your inbox. Will get in touch later. They were Rick James's backup band. Everyone pledge $99 so I can win the box set. I love hearing the clack as the record drops from the stack. Joe, this is rob t (94944). Instead of renewing, I just made another Swag4Lyfe pledge at a higher level. Should I email you? Yes, Rob, because we have to take care of that old S4L you already had running. OK, i'll email you next Wednesday. That first Little Richard full album is insane. He rode that wave for 60 years! Little Richard. As good as it gets. Esquerita may be the original but there ain't nothing wrong with Lil' Richard. ROGER HODGSON IN THE HOUUUUUSE! this record kind of paled to Breakfast in America, but it sold a bazillion copies the year it came out. For people who paid attention, America being huge wasn't that much of a surprise. Supertramp: the first concert I ever saw and I am only mildly ashamed to admit it!! Btw, Joe, I'll probably have to switch my S4L pledge level, but I'm kinda playing things by ear, so I won't know the new total until the Marathon ends and I see what I've decided to give this year. I'll e-mail then. Just a heads up. They were good prog-pop. Not my cup of tea, but they were solid. No probl, Caryn. We're open all year, so hit me up after the 'thon. .... and i had pledged to those shows all last week, and the announcement in the email gave the total credit to the show after Rob W's 'cause that's when i processed the pledge... so just-sayin'. and the first payment went through already. first time i've ever heard that song.... can i still be your friend? It doesn't sound close to faithfully. From Michigan? That's a bit vague, no? Lindsay going wild on guitar at the end of "I'm So Afraid" is something to behold. Saw them at Verizon Center last year in DC. Just, wow. That backbeat sounds like a piece of plywood on a formica table. But that is probably in the weeds ehh? OMG you guys, stop glorifying the nose candy. Everybody, put down the blow! Instead of buying expensive Colombian snot dust, donate that $$$ to FMU instead, you jittery bastards. This was the song we played to kick off the dancing at our wedding. Aw. Awww. Aw. @Ike; Ha ha! Yes, just giving up nose candy for one evening will help WFMU to go all year long! My life just got so much better! I have a radio at the farm. After two years of streaming WFMU from my computer/phone, I get to listen on 90.1 in the house again! Always wondered why Colombo wasn't the capital of Colombia. Different version of Think About Me. Noyce! she did love reign o'er me, and the Who cried. Wait, how does Southern Rock vote? woohoo! I am unbuttoning my shirt and putting on some gold chains to celebrate! wait. Who ISN'T a Tom Jones fan? My mom loved Tom Jones as well, always watched his show when it was on. You're right @Cecile. I know mine is. Tom Jones and Glen Campbell were probably the only artists my mom and I both liked. AND women threw their underwear at him. That totally blew me away when I was a kid. The only artist who doesn't sound right unplugged. I saw TJ at Tower Records in Chicago about 20 years ago. His skin was bright orange. The greatest male Welsh singer ever... outside of Jon Langford. can I just throw my hands in the air without sticking out my tongue? A bit of Little Richard in there, Tom. Huh, wonder if Tom Jones and Shirley Bassey were ever an item..
Tom Jones unplugged should just be in front of a high school marching band. Broken clavicle, no hand in air even. you should play Tom doing "Kiss" and hit a Prince/Tom Jones double. @Uncle Michael...TJ has four what? Of the things mortal men just have a pair of. Spring is here, and talk turns to balls and strikes. @Uncle Michael: I'm hoping that's metaphorical, because considering how tight Tom's pants used to be, I think that would've been a major issue. Let's face it, the FCC would've done an Elvis-like "shoot him only from the waist up" edict. I knew a guy with 5. His underwear fit like a glove. King Curtis also did a wild "whole lotta love"
Ha ha! Joe B. dishing the dirt that we love to hear during the marathon! Everybody pledge for the delicious secrets and lies!!! It is amazing how Joe can do a radio show, during the marathon and still keep up with his email so well that I get a pledge receipt 2 cuts after I pledge! Go Joe! I have to say, as hard as this Tina rocks, I'm not tired of the original, yet. Should I have received an email after pledging?? Did Tina ever cover "Slow Ride"? All the lakes are open, now, Lewis. But I guess you know that. Hi Cecile! - Whatya think about the early spring? Badlands was based on a true story. Yeah, Charlie Starkweather and Caril Fugate. oh hello from Lincoln, Nebraska - home of Charlie Starkweather!! Thanks all of you who have pledged so far...if you haven't yet, show me and WFMU some support. I really enjoy being with you every week and want it to continue! i saw "Badlands" for the first time this winter and it was sooo good.. not just another "shoot-em-up". Natural Born Killers was a twisted version. It looks like Caril Fugate may get a pardon. They've unearthed a ton of evidence that exonerates her. The last lines of this song are so cold! C'mon listeners less than a half hour! and NBK inspired a crime spree of its own. This is the Bruce album for people who don't like Bruce...but also the album for people who DO like Bruce! Folk-rock guitars always brighten up a cloudy day! Guess Nebraska is the album for me..
Ayeh. I avoid anything that Tarantino has been near. listener 108581, now is the year! annie I do not tire of them because I never see them. My daughter comments that I watch everyday films where nothing happens. He usually uses a nuke to kill a fly. It is the most beautiful warm early Spring day over this side. Bit like the avatar. I like action and capers, but not so much brutal realistic violence. ours, too, here in asheville, brian; although way too early.. I can deal with extremes sometimes but mostly I just watch old black and white movies where "nothing happens." @BUK: Does Stranger than Paradise fall within that category? wait, that song pretty much encapsulates every Rufus Wainwright song ever. Brian, the minute someone rolls out the map to the vault, I'm in. i loved the "thin man" movies, and then anything that Asta is in. NBK: script by Tarantino, direction by Stone. That was a perfect storm of stylistic trickery and OTT brutality. βrian do not know that film but I like what I have seen of JJ. "Badlands" is in my Top 10. Love the stream of consciousness this board produces. It's fun. Nothing happens and beautifully. Oh and Screamin' Jay Hawkins. βrian hang on does SJH plays a part in a hotel. If so, yes I liked it. he was probably producing the first Cramps EP. i love THIS movie: "Night Tide" with Dennis Hopper, a beautiful sight to behold in his first full-length movie. yay, you reached the goal! Hmm. I think that was Mystery Train. In this case, it's his song that provides a motif. @Brian in UK That was "Mystery Train"
Yes, Mystery Train that rings a bell. "I put a spell on you!" Heya Joe and peoples of the internet. All Jim Jarmusch movies are worth watching. Glad to see the $$ heading northward. Backseat of my Car - Great MCCartney song rarely heard. Oh, missed Aretha and Dwayne, oh well, great track! One of my all time favourites is Le Grand Meaulnes from 1967 directed by Jean-Gabriel Albicocco. Hard to get hold of though. I don't know how long it takes to get my radio thingie, but I swagged for life last week. And I also asked for your premium, Joes! Sem is the sun shining on you, old bean? Thank you Joe and Samantha! @BiUK: just a lovely Spring day here. Hope the same there. Who is surprised that Joe made his goal?